The truth is, a coworking space is about so much more than choosing a place to work. You are choosing the people you work alongside, the vibe you will be immersed in daily, and the amenities available to you. Looking for the perfect coworking office space? If you’re a freelancer, entrepreneur, or small team, coworking spaces offer a great option for you to get work space that’s move-in-ready. How Does Design Play into How You’ll Use the Space? Your preference in design will largely depend on your type of business or work style. Are you running a startup company that has multiple employees? If so, you’ll need to ensure the space has collaborative areas or private offices where employees can work together and share ideas. Do you regularly meet up with clients as a freelancer? Then you’ll need to check if the office has adequate meeting rooms or breakout rooms where there are no distractions from other workers. But remember this is your time to choose a work space to suit you. Do you want a space that has a lot of sunlight? Would you prefer cozier breakout areas for brainstorm sessions? Or do you prefer a less crowded space that’s feels calm? Coworking spaces really look at design to ensure a healthy flow in their community’s day-to-day. What Furnishings to Suit Your Work Style? Your choice of furniture comes down to your individual working style. Do you prefer to work on a cozy couch as opposed to a traditional office desk? Do you like to mix it up and have different working styles each day? Some coworking spaces offer diverse combinations of seating arrangements, from couches and bean bags to standing and traditional desks. 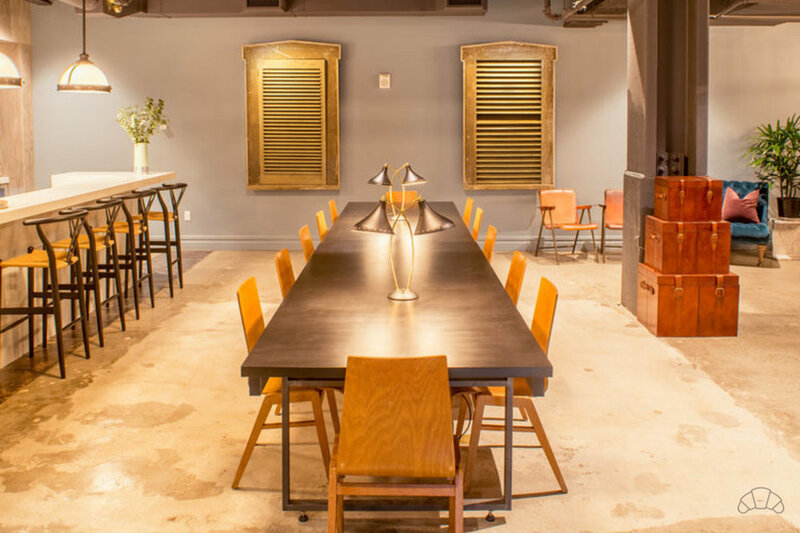 You can opt for a private office or join the communal table in a breakout area. Others are a bit simpler and may only cater to one type of working style. Think through your day and think carefully about how you work best. Consider what type of furniture will suit your needs or the needs of your team. Obviously, a more luxurious office with furniture will probably cost more, so you’ll need to take this into account as well. These days, coworking spaces are more diverse than ever. Many of them are well-equipped with advanced technology and tools, amenities and facilities to cater to the growing demands of workers. This is one of the key things to look at when exploring your options. What kind of technology will you require for maximum productivity? For example, does your job require access to specialized gear such as 3D printers, cameras, bright lighting, or soundproof rooms? What about an extra monitor? Will you need access to a podcast, studio, or meeting room with functionality for video calls or presentations? Perhaps you’re someone who craves coffee throughout the workday in order to stay productive. If so, access to a quality coffee machine, an in-house cafe, or a nearby coffee shop may be at the top of your priority list. Spaces range from providing needs like fresh fruit or snacks, allowing pets to come into the space, and having conference rooms for large team meetings. Think through what options are important to you as you continue to work and grow your own company. Just keep in mind that some spaces charge extra for certain amenities, so you’ll need to think about what amenities are most important to you. So, you’ve found the perfect coworking space design, but what’s the office culture like? It’s crucial to find a co-working environment that meshes well with your personality and working style. Do you enjoy working in a quiet, reserved office space? Or do you thrive in a lively, busy environment? Would you prefer to share a space with workers in your own field? Fortunately, you can find plenty of coworking spaces that cater to different jobs and personalities. Some spaces even have specialties, like fintech spaces, maker spaces, or eco-friendly spaces. Joining a coworking space enables you to join a community of other creatives and entrepreneurs. Consider if the space plans events or hosts any workshops too. Most coworking spaces offer trial runs or day passes , which will allow you to see if it’s the right fit before making a long-term commitment. Many coworking spaces also host regular social events where you can get to know other members of the space. You can even try out services like Croissant to dip your toe into coworking around different spaces. What’s the vibe? When exploring different office spaces, think about the feeling you get when you first walk in the space or room. Does the space have a cheery, positive vibe? Are you inspired? This will help you decide whether it’s the right choice or not. You can choose your space that brings the best out of you. That’s the beauty of coworking. Freelance writer Johanna Ciders’s three must-haves are: an ergonomic work space, great music for inspiration, and of course, unlimited double-shot long blacks! When she isn’t busy writing, Jo likes catching up with friends over dessert and - you guessed it - coffee. If you would like to connect with her, follow her on Wordpress.